Is it that time of year already? 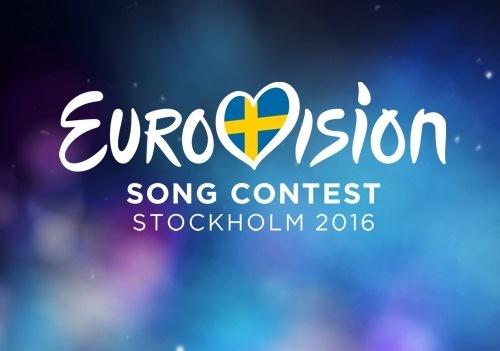 The cheesathon .. sorry Eurovision 2016 will soon be dominating our TV screens once again and telly addicts nationwide will be frantically reaching for the remote - some to turn it up and some it turn it over. We'll of course be asking ourselves the same questions this year as any other: Who will have the weirdest song or costume? Will the UK score more than three points during the entire competition? Since when was Australia in Euope? Why am I watching this? Actually in fairness, I found last year's Eurovision song contest quite entertaining and a few of the songs weren't half bad (there goes my remaining street cred!) so I'm quite looking forward to this year's contest too. Until I sat down to visit to this year's tracks, I really hadn't heard an awful lot about Eurovision. I had somehow missed the UK entry being selected, Jake and Joe - You're Not Alone (which isn't great) and all I knew about the competition was that "a bloke from Westlife is in it this year". After listening to this year's tracks I think the standard has dropped a bit this year, that's not to say that there aren't some decent entries though. Let's take a look at some of them. Russia were one of the favourites last year and in fairness their entry was quite unlucky not to win. This year again they find themselves at short odds, in fact favourite at 6/4.. The Russian entry is certainly a strong contender and they've taken heed of last year's Swedish winner by making their video and live performance a very visual affair.
) is 14/1 is an immediate track to my ear though and would be at home on any music channel or in any club. Outside of the range I really like the sound of the Italian entry (Francesca Michielin - No Degree of Separation). It's mostly (but not exclusively) in Italian which could possibly count against it but it's a pretty little song. It may well be worth a punt in either the finish top 4 or top 5 markets. Something counting against it could be the fact that it automatically qualifies for the final so it will be less familiar to the audience. I would personally steer clear of betting on a favourite because it's the Eurovison and you never quite know what's going to happen. At the same time though, Russia almost did it last year and this time around they are clearly trying to tick every boxes they didn't last time around. Tune into the semi finals on 10th and 12th May and the final on 14th May 2016.